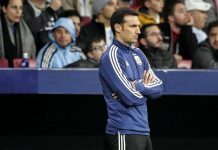 Argentina coach Lionel SCALONI gave a press conference ahead of his team’s match against Iraq in Saudi Arabia. “Today, in football, there’s nothing simple. Surely Iraq will be a complicated opponent but we will try to do things well. I thanked the players for being in the national team. I am very comfortable and thankful. I expect this shape to resemble a 4-1-4-1. Something that has been shown a little bit in the first two games so there would be some consistency there. -My guess is both vazquez and dybala will be tucked in behind the forward. If that’s true it would imply Vazquez+Dybala have better chemistry than Dybala+LoCelso. I will be watching to see if this is true. -Parades will be isolated in a deeper role with a huge responsibility. I hope he plays full game so I can see if he can cover that much area for 90 minutes or close to it. -With DePaul in the squad and presumably on the left, I expect him to move inside a lot from out wide onto his right foot. This probably will leave space for Acuna, who has experience as pure winger, to exploit forward as an advanced wingback. -Meza’s selection is always a perennial head scratcher, but given his inclination to lose the ball, I think Bustos deployment makes sense since he had a similar covering role in Columbia game and redeemed himself quite well against Cuadrado. -Pezella and FunesMori seems like an effort to build continuity here after their two previous starts. 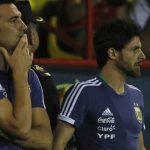 -I will watch Romero closely to see if his distribution and off line play is match ready. -Finally the big one. Martinez over Icardi. I think this adds more dynamism to the front given it was so static in the first two matches but we will see. In a few hours we will find out how wrong I am haha. 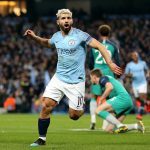 France Football remove Ballon d’Or fan poll after Lionel Messi recieved 48% and Mohamed Salah 31% vote by almost everyone. I don’t like the midfield, defensively not solid enough in my opinion. Meza and Vazquez are both attacking midfielders, with a Meza very average technically and poor tactically, once he lost the ball and not enough people to cover. 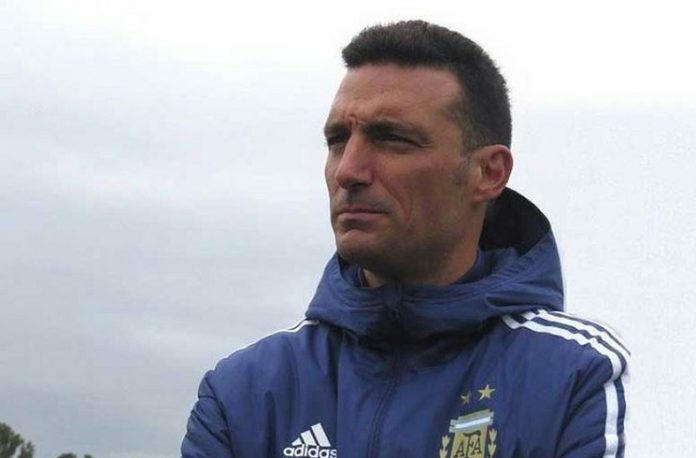 Scaloni said he is starting the best players against Iraq “IT’LL BE THE ONE’S WHO I THINK ARE THE BEST.” So he thinks acuna is playing better than tagliafico, Vasquez than loCelso, meza than Correa, Funes mori than otamendi and bustos to Saravia and Martinez than Icardi?! This is obviously not true and I’m sure scaloni knows this… this is a problem though because if he says this to media, he has said this to the players. A coach must always be honest with players not bullshyt them. This caused discontentment later with that particular player that thought he was doing so well when in fact, he wasn’t doing enough. This can cause that player to go into a mental and playing Slump. I question scaloni’s mental tactics on this subject. 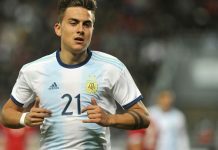 Dybala and Martinez have good opportunity to open his NT goals accounts today. If will do well both should start against Brazil. I love Scaloni & his personality. Hope that he will continue & do something great for Argentine football one day in shaa Allah! 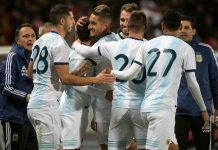 What is this thing with Argentina Clubs blocking players for friendly ? Never expecting this from a side which is the immortal symbol of Argentina football, like River Plate. “WE HAVE FULLY CONFIDENCE IN THEM, THAT THEY WANT TO BE HERE AND THAT’S THE MOST IMPORTANT THING”. Gonzalo , use your brain dont pretend like a 5 years old kid. Yes man, I also think so!